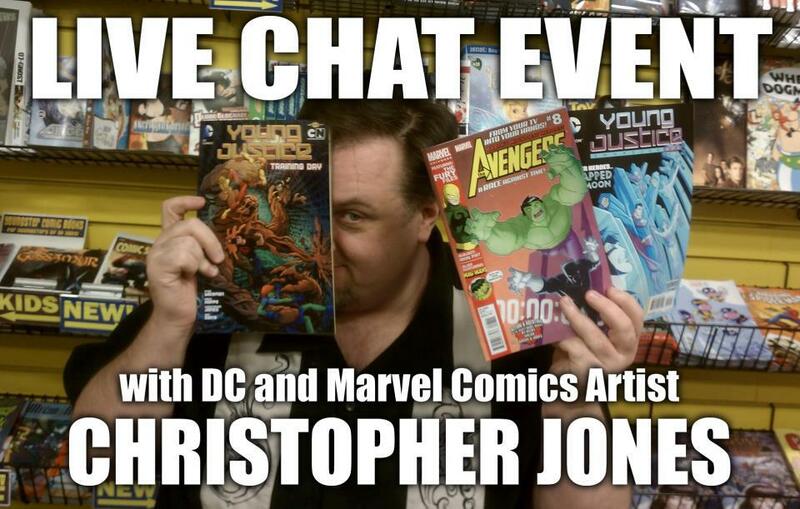 Christopher Jones Comic Art and Illustration Blog » LIVE CHAT EVENT TOMORROW! Have questions about the comics industry, what it’s like to be a comic book artist, Marvel’s Avengers: Earth’s Mightiest Heroes comic, or DC’s Young Justice comic? Saturday, January 26th 2013 at 5:00PM CST! Hope to see you there!